Have you checked out Okada Manila? Mention Okada Manila to friends and they will immediately think about the hotel complex’s famous U.S. $30 million-worth dancing fountain, touted as the largest dancing fountain in the world, and a veritable tourist attraction itself. But there is more to Okada than its dancing fountain. 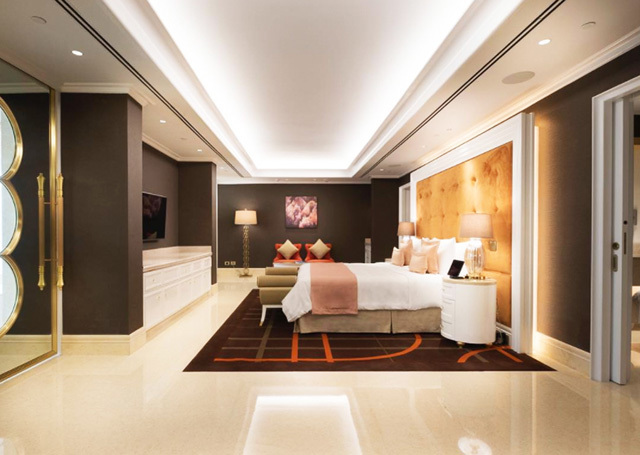 Aside from the sprawling casino complex and various entertainment clubs within the massive, 45-hectare site in Parañaque facing Manila Bay, there are the luxurious guest rooms. 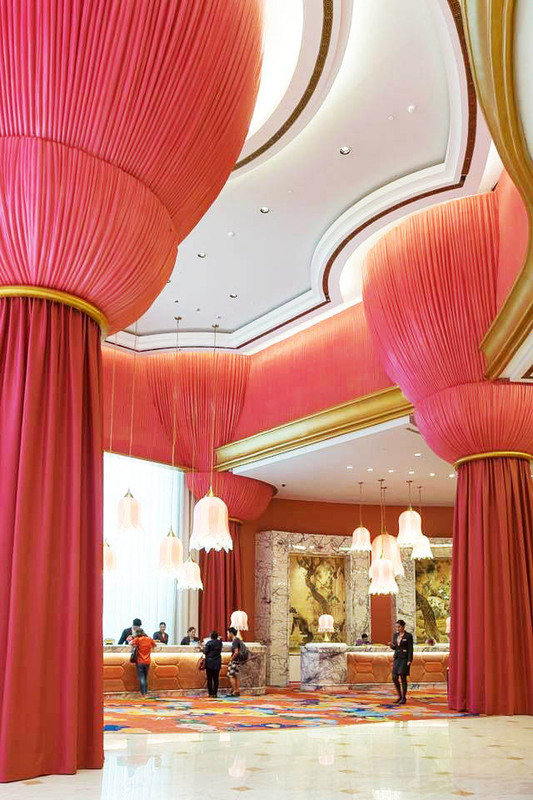 Conceptualized by Japanese-based Miurashin Architect + Associates, the hotel is divided into the Coral and Pink wings, so it comes as no surprise that the main lobby is in a coral-and-pink color scheme, with touches of other jewel tones. 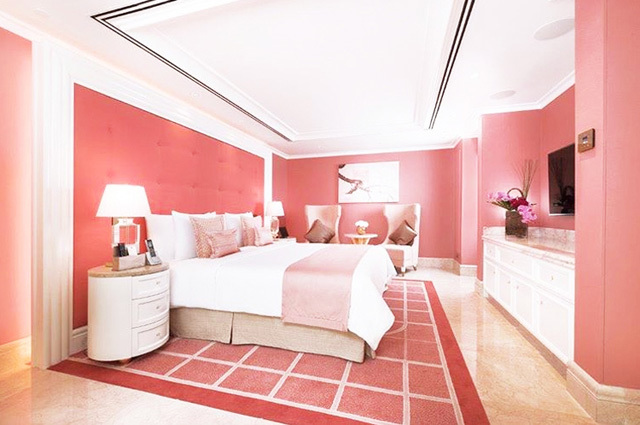 In fact, pink is the main color scheme in their Deluxe, Grand Deluxe, and Junior Suite rooms. Even the suites’ bathrooms are pink! If you want a fancy pink marble stone like this, you can get something similar at Kaufman Stone. 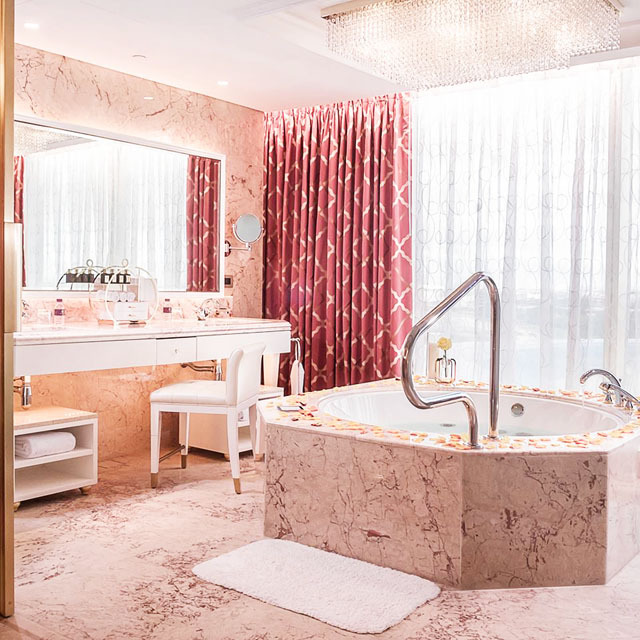 But if you don’t like pink, then check out the Executive Suite, which is decorated in copper velvet, deep-pile chocolate brown rugs, and peppered with gold, tangerine, and ruby accents. 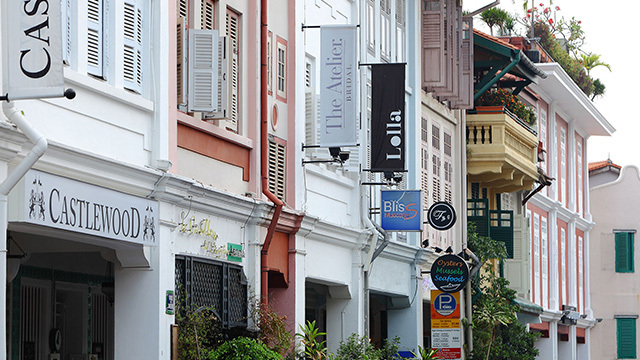 With its 250-square meter floor area (almost as big as a house!) 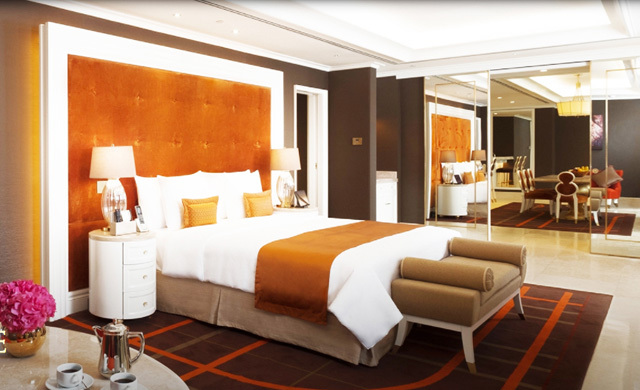 the Executive Suite has enough room for living and dining rooms, a bar, walk-in-closets, and a massage room. 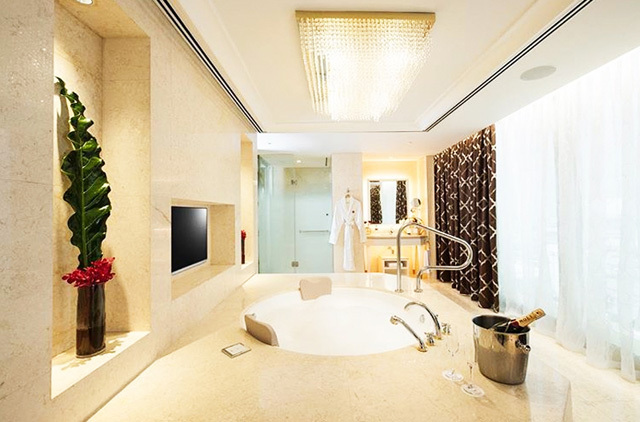 The Executive Suite’s bathroom is a dream—you get to soak in its Inax Whirlpool tub while you take in a view of the beach complex and Manila Bay (champagne optional)! 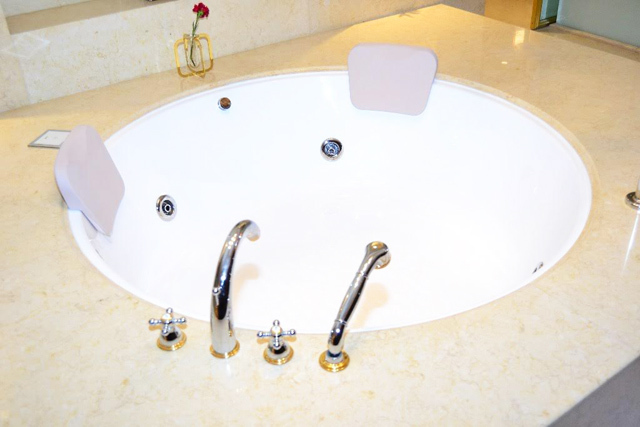 All of the bathrooms in Okada are fitted with Grohe bath fixtures to assure guests of maximum comfort and bathing luxury in all its 993 rooms. The Grohtherm Thermostat Mixer used throughout the hotel has revolutionary features that provide guests with the correct water temperature in mere seconds—no too-cold or too-scalding shower and bath streams here! 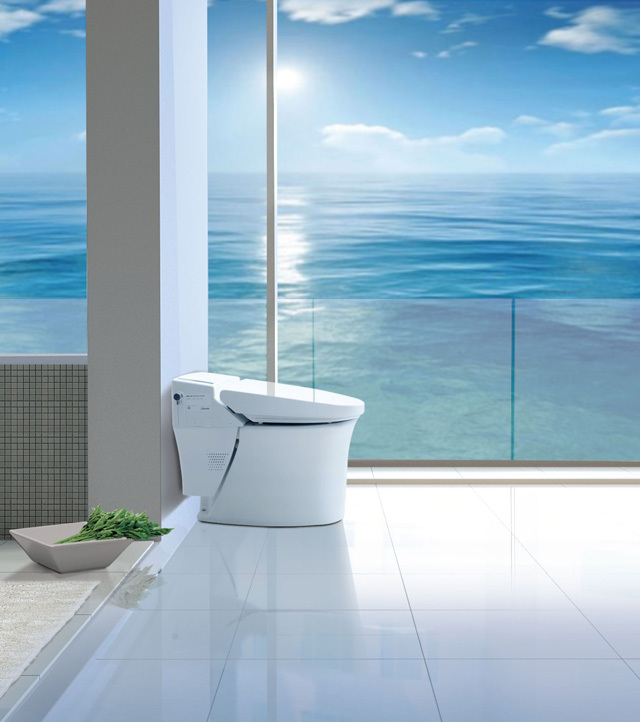 Hotel guests can also experience the comfort of the high-tech Inax Satis shower toilet, with its fully automated seat and cover sensor, automatic flushing, and Plasmacluster Technology that cleans the air after every use. Okada Manila is at New Seaside Drive, Entertainment City, Parañaque City. For more information, visit Okada Manila's website. For more information about Grohe and Inax products, visit Grohe's website.